Hi, I’m working on an AR project for my master thesis. I’m really interested in this application of FAST keypoint detection coupled with SURF descriptors. Could you please point me to some relevant resources for implementing this o existent source code? Be careful if you want try ER-FAST. ER-FAST C code is huge and can easily crash visual studio. Thanks for you answer. I’ll give a look to both. So you just apply SURF “description” code to keypoints detected by FAST? Did you try FAST with SIFT based descriptors too? I did slight modification to FAST – used it on scale space – downsampled image and applied FAST to patches produced by fist stage. But you probably don’t want to do it – it’s purely for performance optimization for mobile device. SURF – it’s not “description”, it’s “descriptor” – string of numbers which are 1-2nd order Haar wavelet moments. SURF descriptor I used practically without changes. You may want to fiddle with parameters though – they influence results a lot. SIFT I never tried – it’s more slow then SURF. It doesn’t seem obvious on how to go from a FAST CvPoint keypoint returned by cvCornerFast to a CvSURFPoint which contains a lot more required information such as the laplacian, size, etc. Or do you simply pass in the CvSURFPoint with only the “pt” member set and cvExtractSURF will fill in the rest of the info? BTW: Thanks for publishing this work — I hope to share my results in the near future as well. I’m not using OpenCV here (actually I’m using it for testing only, because intended target is mobile). I just get point detected by FAST and calculate SURF descriptor for it. That way Hessian is not used at all. Is FAST-SURF combination rotation in-variant? FAST is rotationally invariant. SURF descriptor could be oriented, which is rotationally invariant (theoretically, in practice not so much) and upright, which is not. Do you know how to input the group of points from FAST to CvSeq** ? Did you calculate SURF decriptor for each point using cvExtractSURF? I’m stuck at the same point – how do you produce SURF/SIFT descriptors from FAST corner points? First you detect candidates with FAST. Use some scoring on them – either FAST scoring, or Hessian/Laplacian approximation. Use some non-max suppression using score. Or don’t – depend on your strategy. After that apply relevant descriptor to the point. Im not sure how to obtain scale information using FAST? Could you explain how you did it? it is important because scale information is used by SURF. Otherwise the tracking performance is restricted. FAST is not related to scale space directly. First you have to build scale-space pyramid (possibly with integral images), after that use FAST for each level. Could you explain more details about overall procedure and how you built the scale-space? Can i just use 1/2 downsampling and gaussian blurring? Then i have pixel locations in different orders. for example, there would be different point location for 500×500 image and 250×250 image. Like you said, would it be fine just copying FAST point data to create SURF descriptors? nothing else like dir, hessian, laplacian, size. Scale space pyramid is the same as used in SURF. It described in detail in SURF paper, and should be present in SURF open source implementation. 1/2 downsampling is a special case of this scale space, but not quite good IMO, better use overlapping 4 pixel cells downscaled by factor 2, the cost is the same as downsampling by 2 because of integral images. Point location of cause would be different – scaled by factor 2. I’m not sure I understand last question. You may want to use non-max suppression on FAST, and you can use original FAST non-max suppression, which doesn’t use hessian or laplacian, or you can make anoter, which use hessian or laplacian scoring. 1 Didn’t do timing, but I think yes. Daniel Wagner did FAST-SIFT, and SIFT is more slow. 2 robustness of pure FAST-SURF, without additional consistency checks quite poor. It usually produce around 5% false positives. I do mobile markerless AR too. Do you have any demo to see? what do you think about Maximally stable extremal regions?? Have you tried it? Do you think that ths approach is suitable for real-time applications?? They are fast, but by itself are not very useful for real time 3d registration IMO – they are too big, if extract corner from them they wouldn’t be stable, and they are only partially robust – they have “good” part with high gradient, but also could have unstable part with low gradient. They could work for object tracking, but not good for 3d registration. I am wondering whether FAST is much faster than approximate hessian of SURF detector or not. In Wagner’s paper, he used SIFT and FERN, I don’t know well, but could it be fast enough to use SURF detector(hessian)? @Derek Most probably FAST faster in any C form (it’s statistically optimized for minimum amount of operations), but may be even more important FAST could be very efficiently assembly-optimized. Also FAST more or less rotationally invariant form start, not requiring detecting any dominant direction. About Wagner method – it can not acquire data run-tine, data should be precalculated – either FERN built or SIFT PCA-ed off-line. It’s for already processed environment. I’m sorry for bothering you. but i’m still stuck in the building scale-space and using cvExtractSURF(…, size, ..). Maybe you didn’t use opencv for this, so you may not know it. 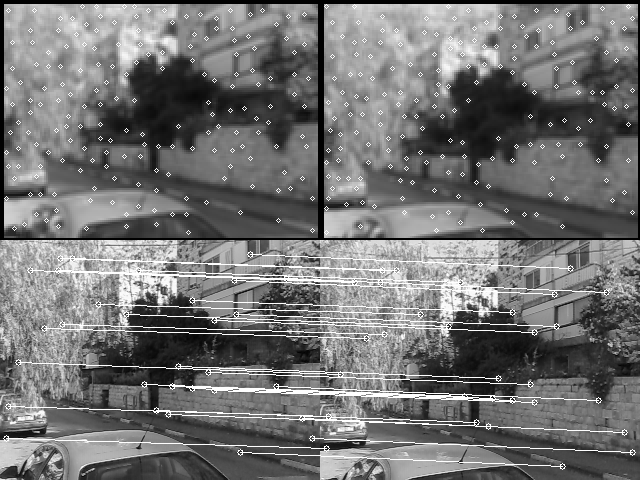 Anyone who did this using opencv? when i build scale-space, i didn’t use integral image because this didn’t make FAST corners, so i just use image pyramid. In this time, i just downsample the image using many different factors. and i made Gaussian blurs to make layers. but after this how can i apply this to parameter (size: Feature size) of cvExtractSURF? Could anyone help me and explain the procedure in detail step by step? I have built the scale-space on raw images (not integral images) and applied SURF descriptor to all fast corners detected from the pyramid of images, but performance of the match is very poor. Does anyone have any suggestions? 2kagashi, I have the exactly same problem as you for quite a long time. i don’t understand how people do this. if you don’t mind why don’t we have some discussion and try to solve this together. can you give me your email address? How to detect corner using SURF algorithm? What do you mean by using FAST for each level? Did you apply FAST on *integral images*?! 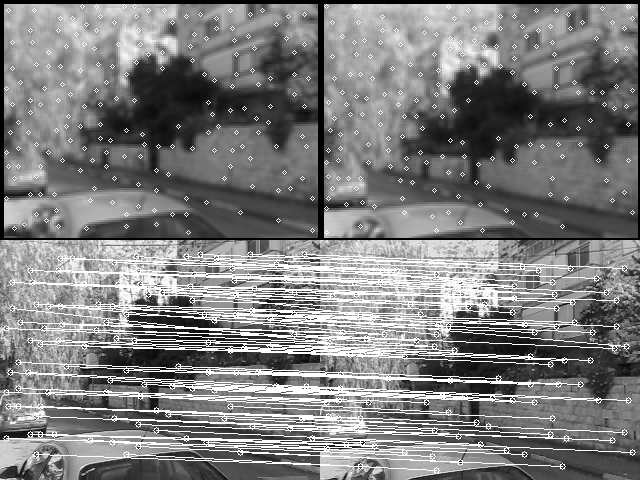 OpenCV implementation of SURF is hopeless. You have to write your own descriptor for real-time mobile. Some implementations can run real-time on hi-end phones, but they usually highly nontrivial, worth master thesis (or more) by itself. 1 – You may have to rewrite the matching code (I’m thinking about the opensurf implementation) becouse I’m not sure that checking if the nearest and the second nearest are enough distant one from the other could work. 2 – Building the image pyramid can lead to loss of performance: have you think to create mutliple descriptors for every points detected by fast increasing the area considered around it? Hi, is it possible to use the images provided in this blog post in my background research for my master’s thesis? I wish to show an example of FAST and SURF prior to showing my own work. No comparison will be made between your work and mine. Sure, but that is very old staff, everyone(me including) moved light years ahead from this. This approach proved to be too simplistic for real-life apps. I can’t talk about latest staff though – work for client etc. Do you know of any site that provides information on these “latest stuff” ? is it possible to improve the performance of face recognition systems by using SURF descriptor along with compressed images? Old fashioned I mean only unmodified straightforward SIFT/SURF. Thanks for your reply. So you think using (modified) local descriptors is still a good way to go on mobile devices (e.g. using available algorithms for simple recognition tasks and modified / combined techniques, see above, for more general object recognition with huge database)?